We all want our eyes to feel better during allergy season, but many allergy sufferers are concerned about the chemicals and preservatives found in allergy eye drops. 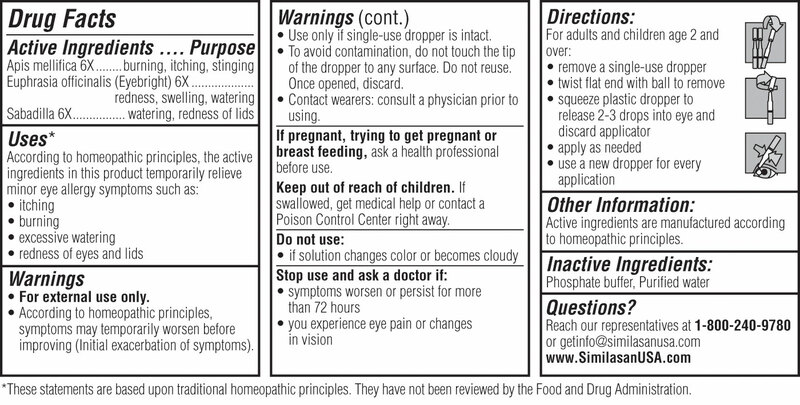 Traditional over-the-counter allergy drops use chemicals such as vasoconstrictors to mask symptoms. Vasoconstrictors may actually worsen the symptoms if used more than directed (usually 4 times a day maximum). Similasan of Switzerland works differently, by using natural botanical extracts to stimulate the body's natural defenses and target the root cause. Similasan products are made without harsh chemicals, so you can use them as often as needed.